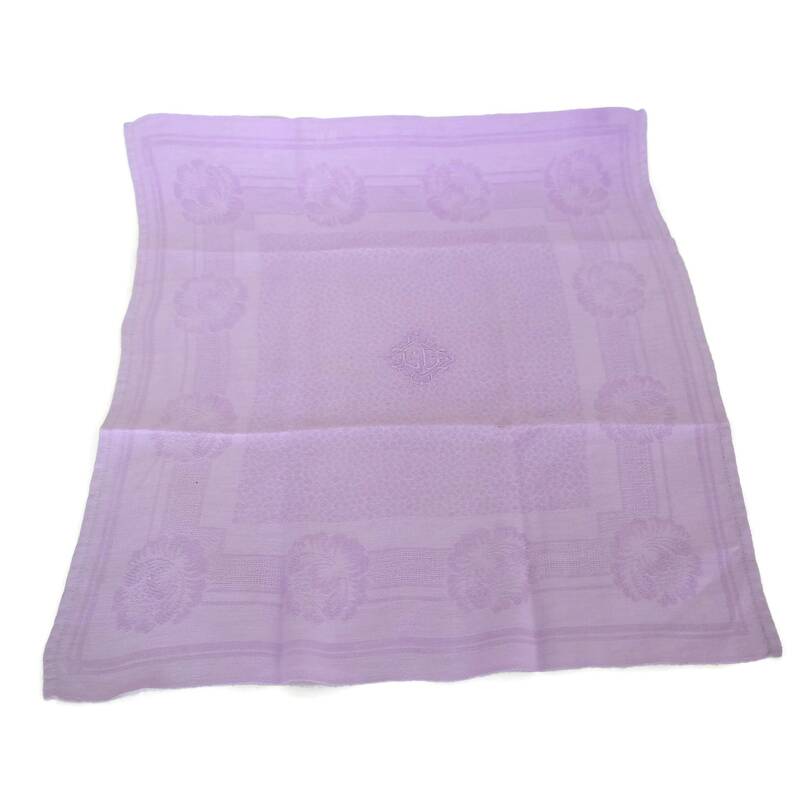 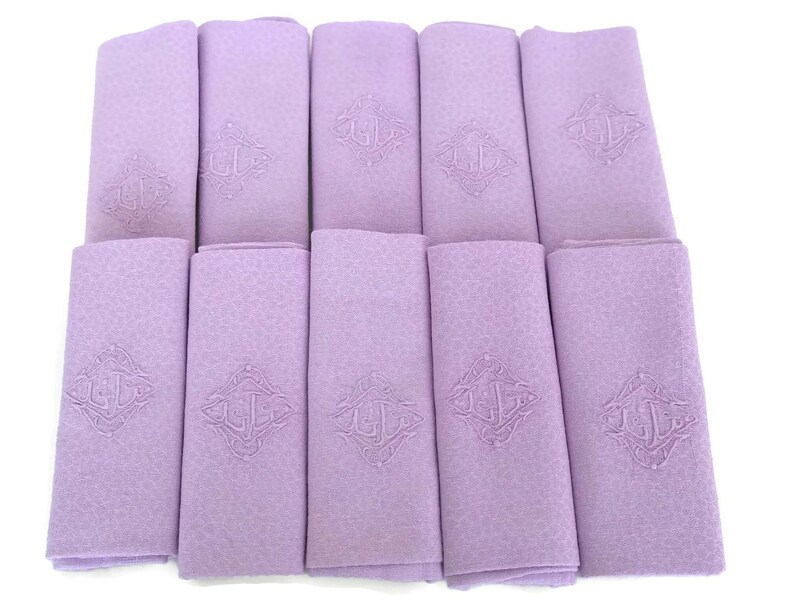 A beautiful set of 10 French linen napkins in a shade of classic lilac. 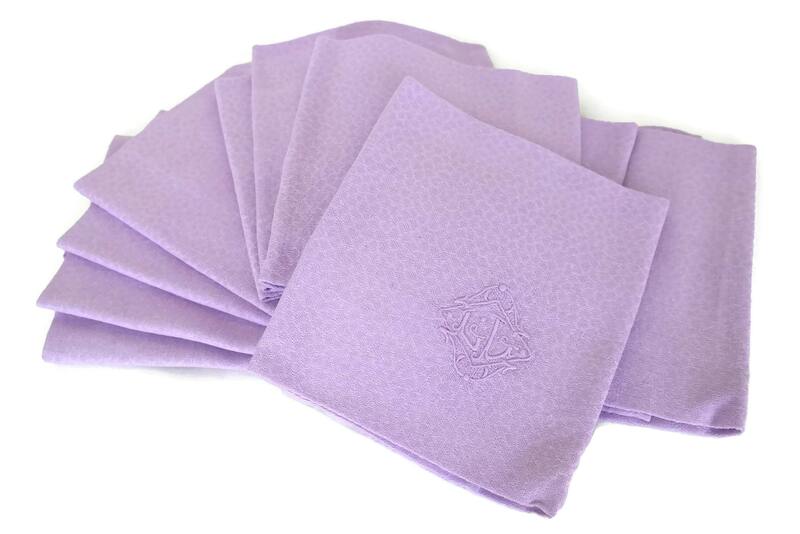 Each serviette has a monogram with the initials L L that has been finely hand embroidered. 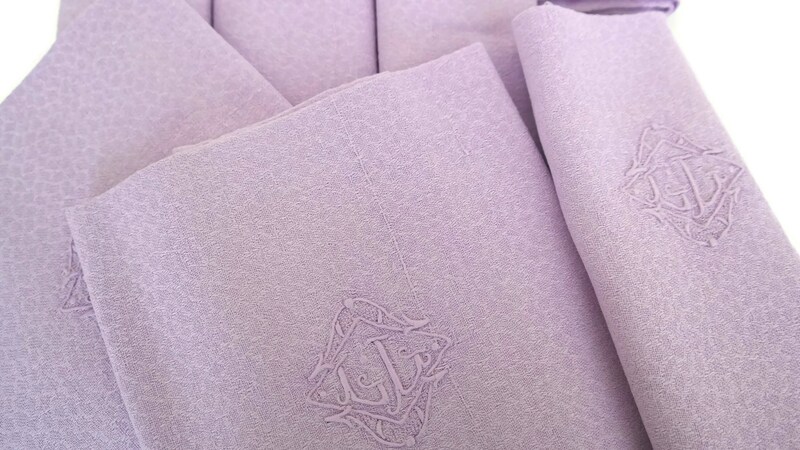 The large napkins have been made from a beautiful damask woven linen-cotton blend with a flower pattern. 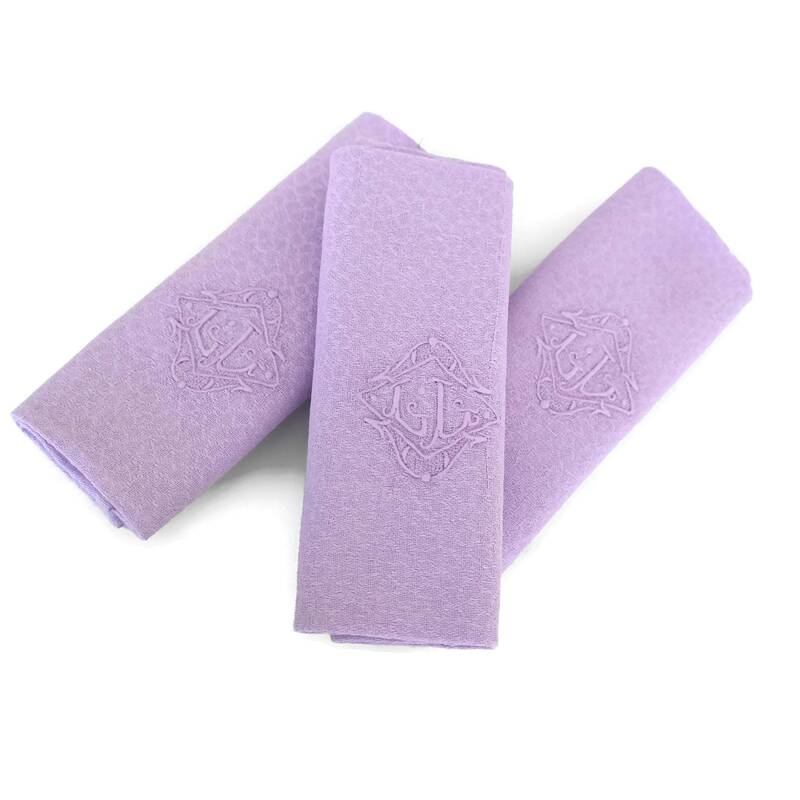 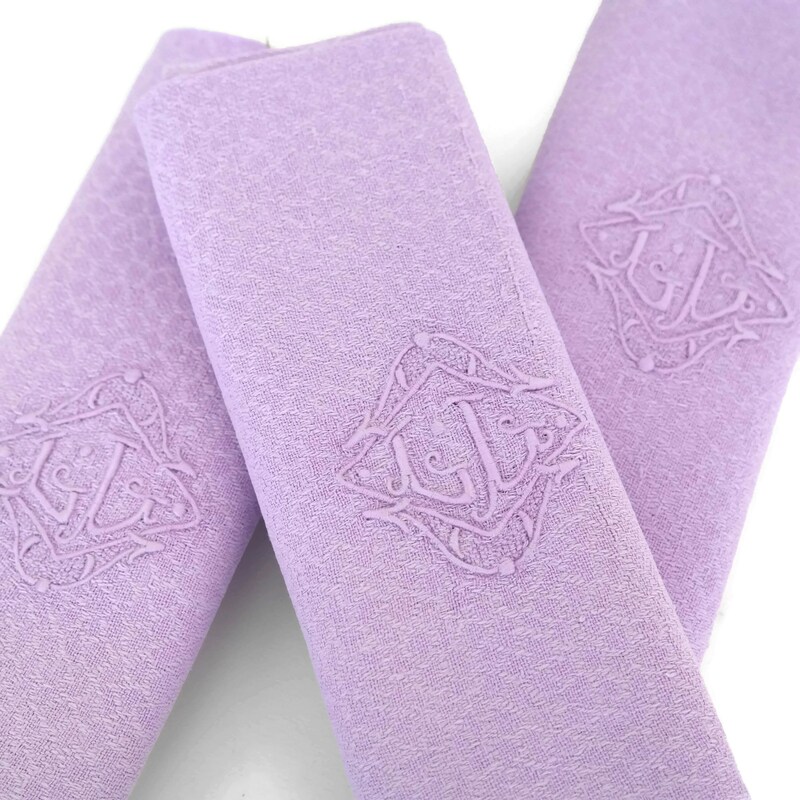 They have been hand tinted in a shade of French lilac that is perfect for an elegant table setting. 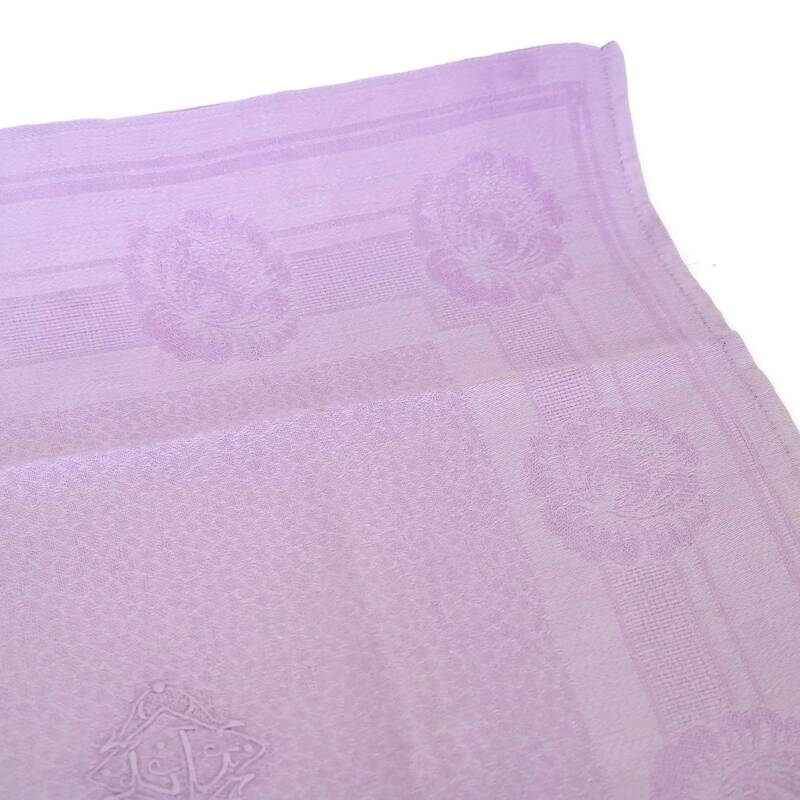 (59 cm x 54 cm). 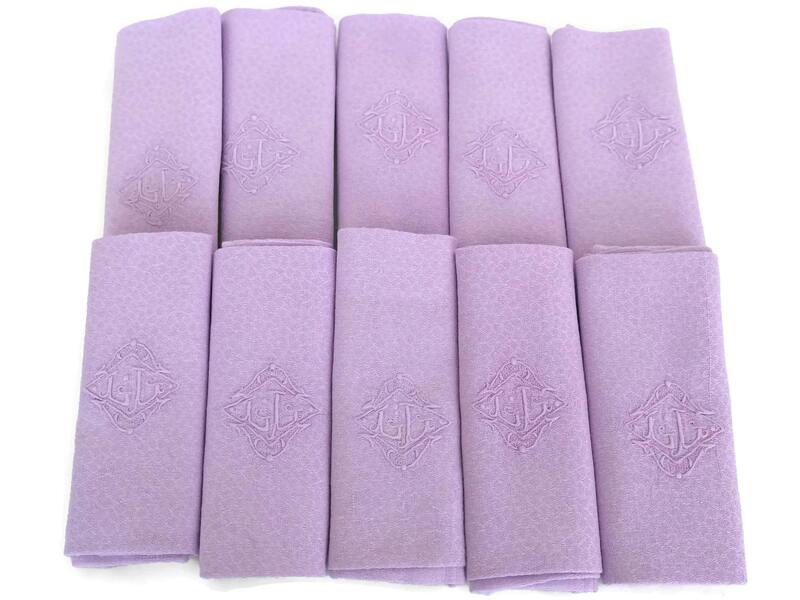 The set of 10 linen napkins is in very good condition. 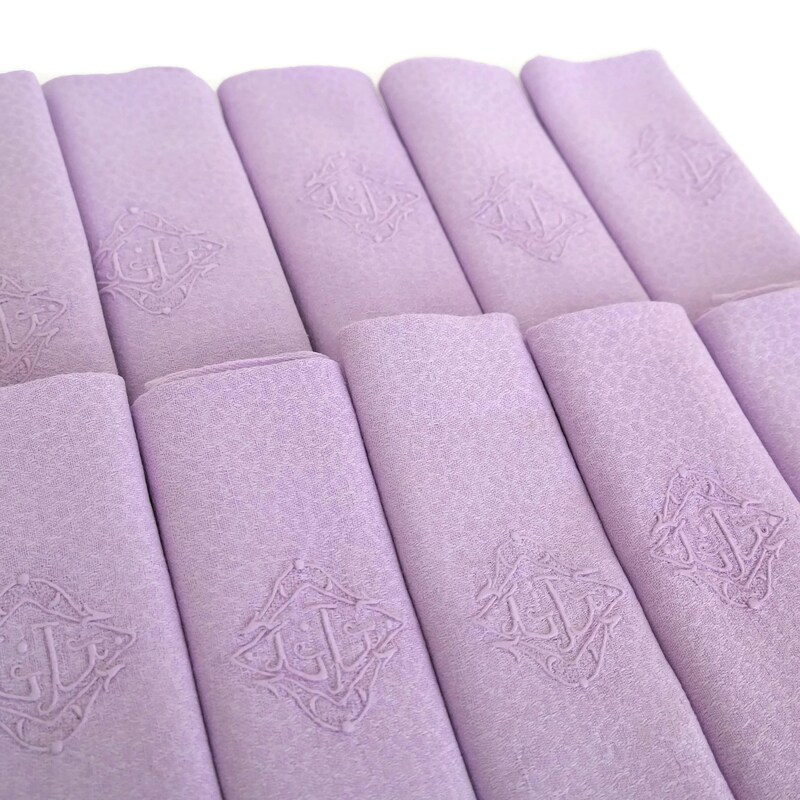 As they have been hand dyed there may be slight color and shade variations in places. 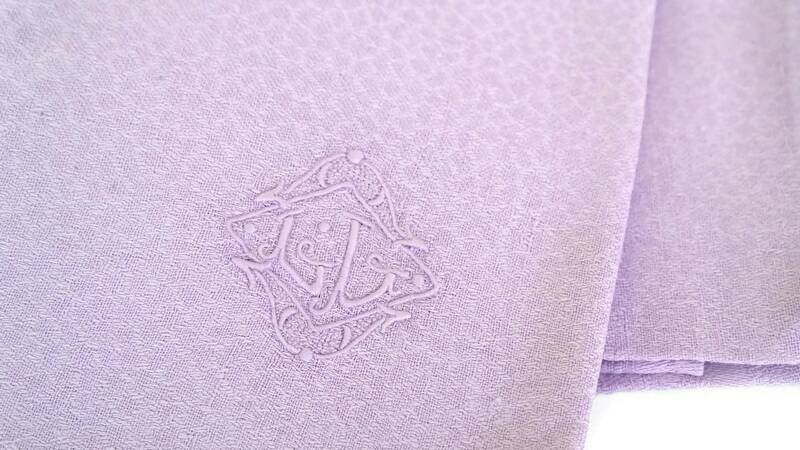 There are no holes or damage.